eBay For your consideration is a Do It Yourself clamp set for building your own Canoe Motor Bracket, Canoe/Kayak stabilizer, Rod holder crossbar. 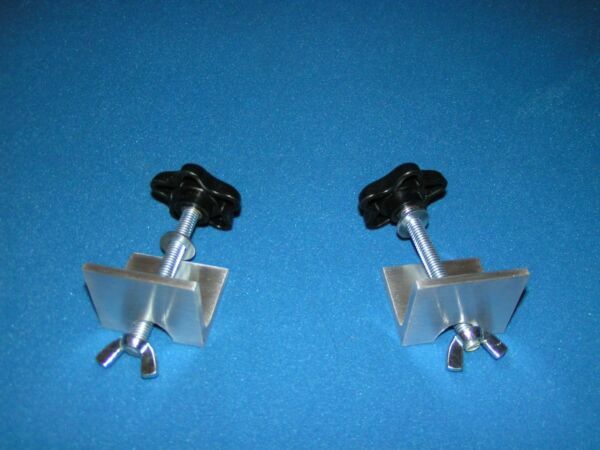 These clamps are rugged, very effective and generally work well on most Canoes and some Kayaks. If you have a question about your canoe or unique application.... we like questions so please don't hesitate to ask. These are the same clamp sets used my aluminum canoe motor mounts. These are in stock, ready to ship & we are committed to fast shipping. Buy today it ships tomorrow. It's our goal to ship within 1 day of cleared payment. Clamps will ship via and FedEx SmartPost, USPS Parcel Select or Priority Mail. Yes I combine shipping for greater savings on multiple sales. Cleared payment is expected within 3 days of the close of the auction All sales carry a 14 day return as money back.